From the very beginning of the use of computer, Windows-an operating system of Microsoft, has taken place on about every computer. Windows-95 was the first operating system by Microsoft. It changes the inter face of computer. Now Microsoft recently released Windows-8 after the successful release & popularity of Windows-7 professional and windows server 8 recently. Already Windows-8’s Beta version can have in everyone’s PC, tablet, and laptop. The design, facilities and work efficiency preview already gives a strong proof to change the interface of pc, tablet and laptop. We have to wait for final release of Windows 8. 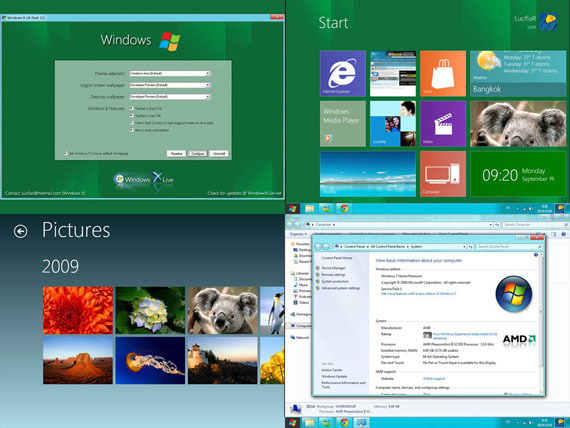 The current release is meant for developers to try their hands on upcoming Windows 8 features. Windows 8 will be available in two versions when it launches later this year. One version will run on x86 PCs, laptops, and slates or tablets powered by Intel or AMD chips, and will offer users the choice of working in the familiar Windows Explorer desktop or in the new, touch-centric Metro mode. The other version will run on tablets that run Qualcomm, Texas Instruments, or Nvidia chips based on the ARM reference design, and will only offer the Metro interface. The new Start menu serves as both a launch pad and a dashboard–a way to see at-a-glance activity for many different kinds of data via Live Tiles, and a way to quickly access common apps. It has been refined a bit since the first public betas, but the underlying metaphor hasn’t changed in any major way. The “charms” menu is revealed when you hover to the right side of the screen. This is the Metro version of a context menu, with the options listed behaving a little differently depending on what Metro app is in the foreground. It will run on also that pc which has low microprocessor power and low configurations. 1 gigahertz (GH\) or faster 32-bit(x86) or 64-bit(x64) processor. DVD optical drive for installation. But finally when this operating system will released is yet not confirmed. May b around October this year it’ll finally come on market. Just a day after Microsoft made the upcoming operating system “Windows 8” available to OEM partners, the final version of it got leaked onto the internet. 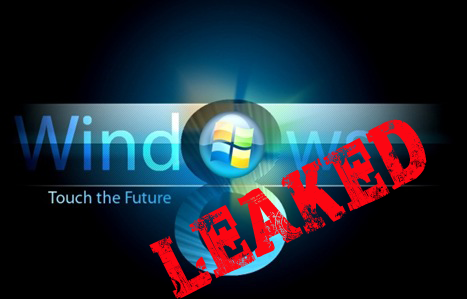 It is, however, only the “N” full version of Windows 8 that got leaked. Basically the “N” version of Windows 8 does not include Windows Media Player, due to the fact that in 2004, the European Union ruled that Microsoft must provide a copy of Windows that didn’t include the media player. Microsoft has not made any comments on the leak, however, suspicion points to the fact that someone working at an OEM partner is maybe responsible. The N version is now publically available across various file sharing sites. The finalized version of Windows won’t be available to MSDN and TechNet customers until August 15 giving developers over just 2 months to include their paid apps for inclusion in the Windows Store. Microsoft has set a release date of October 26 for the next generation operating system. The public have been advised to wait until the operating system is officially released before making the switch. For those running genuine copies of Windows XP, Windows Vista and Windows 7 will be able to upgrade to Windows 8 at around $39.99 US. If anyone has purchased a Windows 7 machine, you’ll be able to upgrade for about $14.99 US. 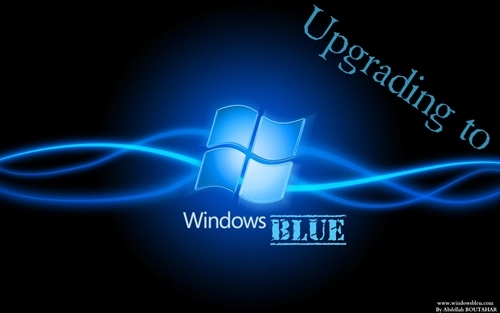 Windows Blue or windows 8.1 rumored to be the successor and complement of windows 8. As it has been known, a lot of complaints from users of Windows 8 which resulted in reduced sales of Windows 8. One of the most complaints is the loss of start menu keys on the desktop in Windows 8. Reportedly Windows Blue will re-display the start menu on the main desktop display. Windows Blue same as Windows Phone 8, which has the ability to customize the welcome screen. 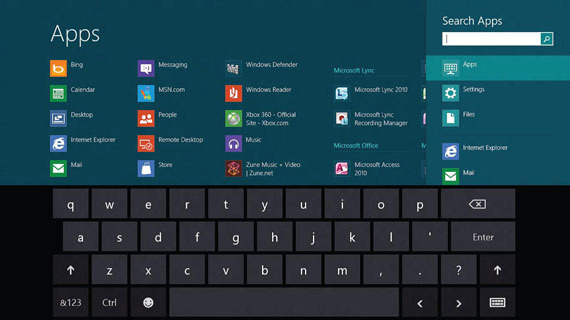 Besides Windows Blue also has a swipe feature where the user can perform multitasking by running two applications simultaneously. Once rumored to be presenting feature boot to desktop, Windows 8.1 or Windows blue reportedly will bring back the Start button on the desktop. As we know, the loss of the Start Button is one thing that most users of windows 8 complained because although Windows 8 aimed on a touch screen users but in fact many users of windows 8 are still using mouse and keyboard as the input system, so it is not surprising if many users of windows 8 frustrated and install third-party software to bring back the Start button in the Windows 8 desktop. Various sources state that the Windows Blue intended to incorporate the differences between Windows Phone 8 with Windows 8. In addition, Windows 8 is rumored will also on cheaper price. According to the rumors, too, Windows Blue will be released this year.